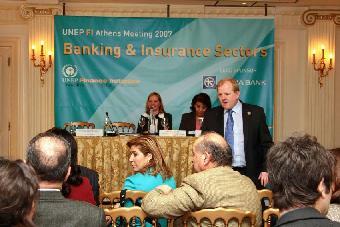 Greek financial institutions attach a high importance to sustainability topics, today and also in the future. However, they seem to limit their current actions to internal environmental management, CSR campaigns and offering selected green financial products. They still miss out to incorporate sustainability aspects into their core business activities, i.e. lending and investment. A generally high degree of environmental awareness seems to exist, but this knowledge cannot be translated into real business opportunities yet. International financial institutions are not as strong in implementing their sustainability policies in their Greek subsidiaries as they are in their headquarters’ operations. Local institutions seem to be much more advanced than subsidiaries of international institutions, even though these have the potential to be pioneers regarding sustainable finance in the Greek financial market. The reasons, why this potential driver of sustainable finance in Greece is not working, certainly need to be further explored. Private, public and non-governmental financial stakeholders involved in environmental issues are not well informed about the indirect environmental impacts of the financial sector. Unlike in other EU countries civil society and in particular non-governmental organisations (NGOs) are currently not drivers for sustainable finance, as they are not pushing for the management of environmental and social issues in the core business areas of financial institutions.